So, you’ve found which forms you need for the event for you or your child. You’ve downloaded the pdf. You printed it out. You even filled it out correctly and completely, including signature and date. Now how do you get it where it needs to go? You could try handing it to someone on the weekend. But that almost multiplies the possibility of it getting lost by 100. You could try to catch someone in their office during the week, but coordinating schedules can be a real challenge sometime between yours and ours. 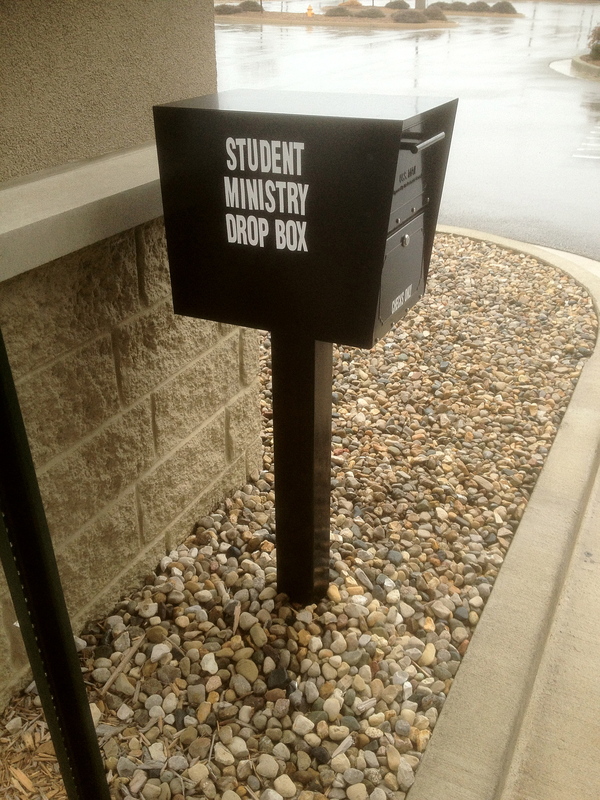 So, we have this great thing called the “Student Ministry Drop Box.” Many people drive by it on a weekly basis and never notice it. So, let’s show you where it is and how it works. It is guaranteed to make your life easier – at least as far as submitting forms is concerned! As you pull through, you should notice a black box with white letters. It sits on a black pole on the driver’s side nestled up close behind one of the support columns. If you were to look at it coming out of the Student Ministries Center doors, it might be easier to spot. 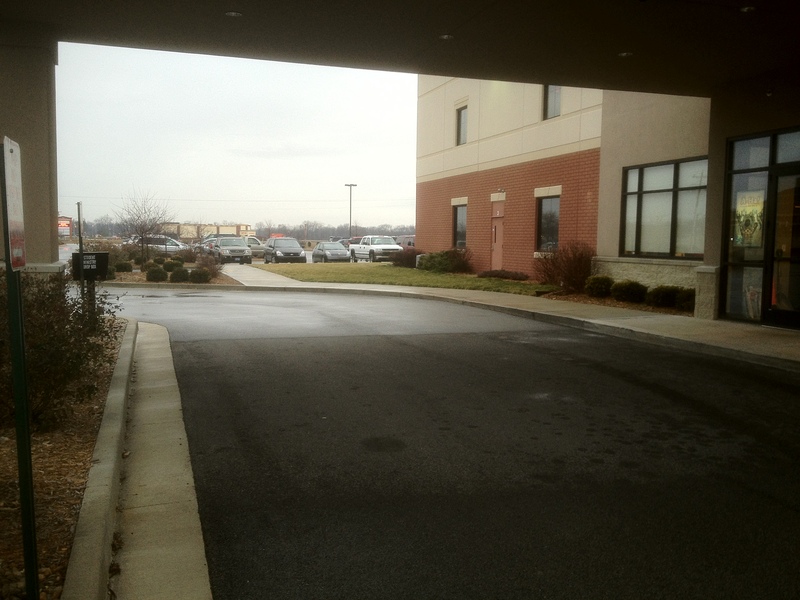 And when you walk up to it, or more likely drive up to it, you can clearly see what I’ve been describing. Right about now you’re probably thinking, “Oh yeah! I’ve seen that.” But if you haven’t used it, your mind probably allowed you to forget about it. It’s an unfortunate mental trick. Now that you know what it looks like and where it is, let me finish this out by explaining the best way to use it. 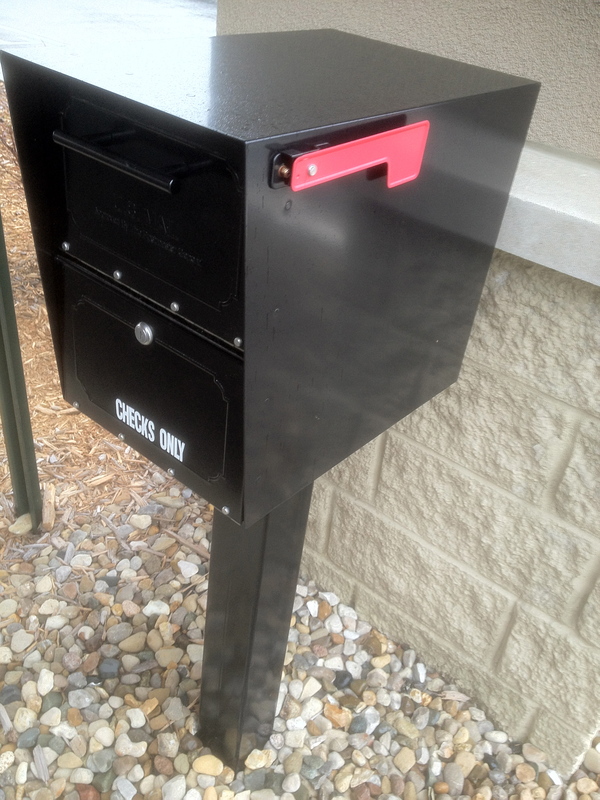 If you pull the black handle on the top of the box, it opens up a small door where you can drop in your registration forms or even event payments. For best results, we recommend putting up the little red flag to let us know something has been placed in the box. 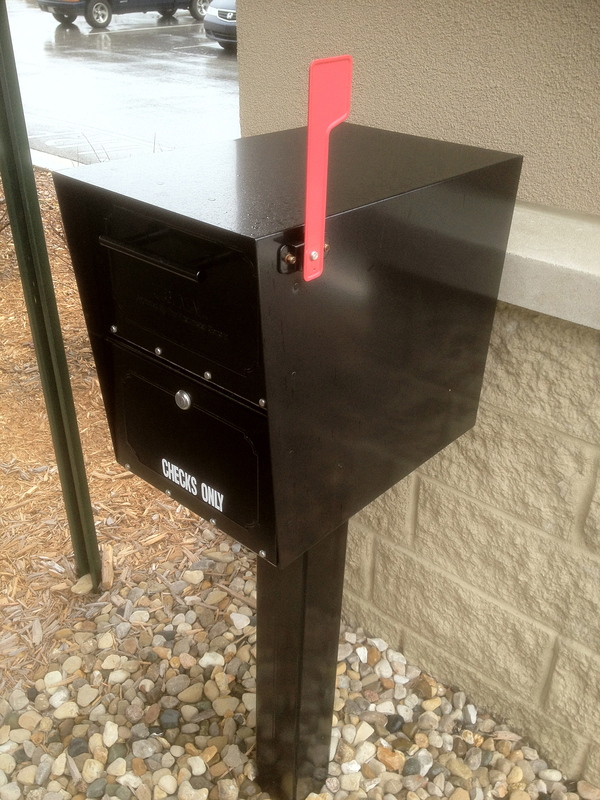 1) No, this is not a federal offense or violation of the use of a mailbox. 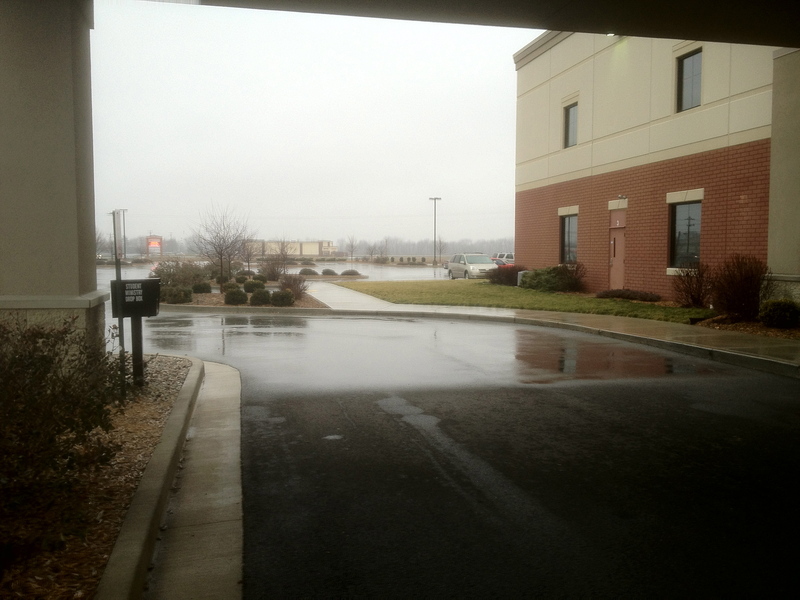 It is a little known fact that the post office does not deliver to this facility. 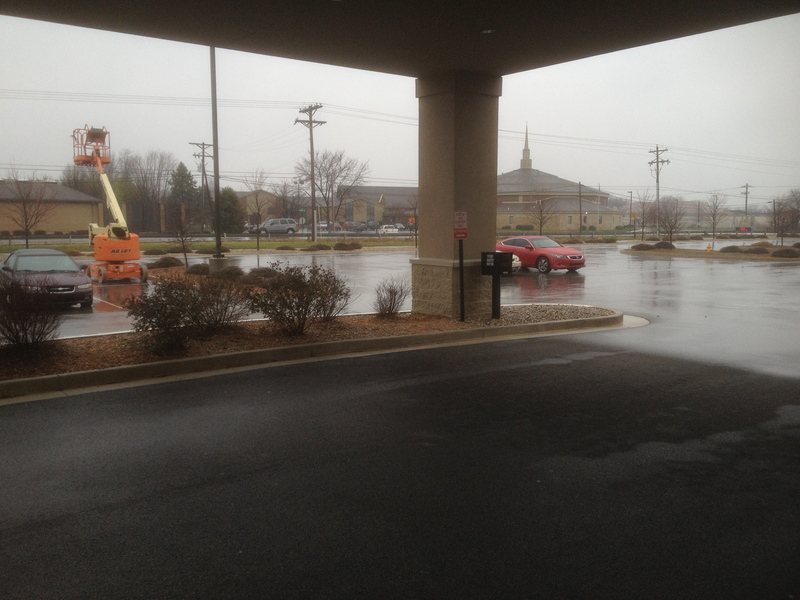 All church mail gets delivered to the main campus. So, you won’t be confusing any postal workers by using this box. 2) Yes, the box is locked. Only authorized staff members have keys to this box. Whatever you drop in there stays until one of us opens it and gets it out. 3) Yes, you can deposit both forms and event payments into this box. 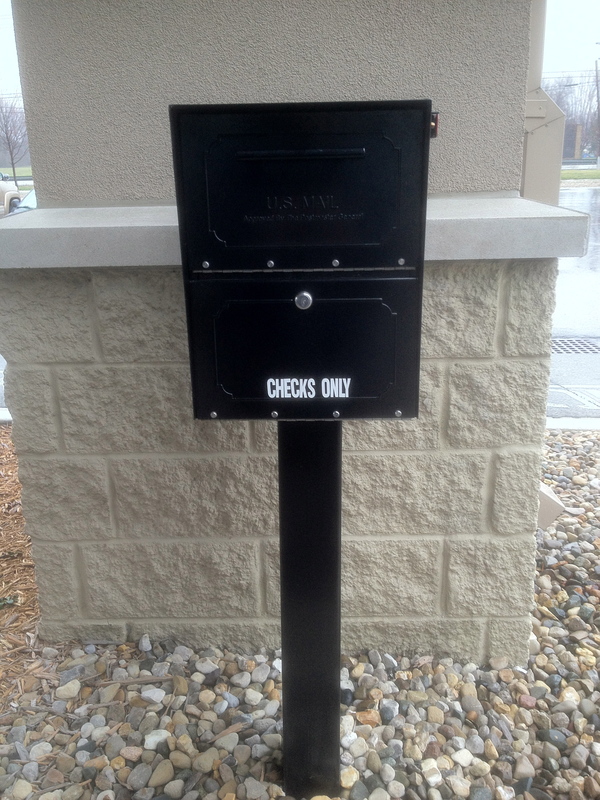 We do not recommend depositing cash this way for security reasons. 4) PLEASE USE AN ENVELOPE. Loose papers can create a crazy mess during busy times. To ensure that your forms and/or payments are collected easily and accurately, put them in an envelope. 5) PLEASE LABEL YOUR ENVELOPE WITH THE EVENT NAME. This box is used for fifty-six, seventy8 and high school ministries. That can lead to several different forms, payments, envelopes, etc in the box at a time. By labeling your envelope with the event name, we’ll be sure to get it to the correct person quickly . . . especially if you remembered to put that little red flag up. 6) The box is protected from the elements for the most part due to the canopy. However, humidity, rain, etc. still affect the paper in the box. Putting the flag up means your forms or payment will be collected quickly, usually within 24 hours. 7) Can I drop these off anytime? YES! 😉 That is the greatest reason for having this drop box. You can use it 24 hours a day, 7 days a week. Please keep in mind that the box is emptied daily Monday – Friday, especially if that little red flag is put up when you deposit something. From Friday-Sunday, it just depends how crazy the weekend is on how well the box gets emptied. But, as long as you put that little red flag up, someone will know we need to empty the box. 8) PLEASE USE THE LITTLE RED FLAG. I wasn’t sure if I had mentioned this yet. Using that flag is an automatic way to signal to us that we need to check the box. Thanks for helping us out with this. And, it’s kind of fun! Hopefully this will be a helpful drop point making submitting forms and payments so much easier for you. We do dream of a day when you’ll be able to do it all online. However, we are not at that point with our forms or check payments yet. Do remember that you can always make payments for an event online using PayPal. And please contact us if you have any questions about the drop box or getting forms and payments for Student Ministries submitted.